Amazon has invested in Californian home design and prefabrication company Plant Prefab, with plans to integrate its suite of voice-controlled Alexa devices into affordable easy-to-build houses. Rialto-based Plant Prefab announced that it has received funding from Amazon's Alexa Fund, which was established to support projects that innovate in voice-enabled technology, on 25 September 2018. Amazon recently expanded its range of Alexa-enabled devices to include cameras, speakers, security systems and microwaves, all prompted by a smart assistant called Alexa. It will now work with Plant Prefab to integrate similar smart technologies into its residences. "Voice has emerged as a delightful technology in the home, and there are now more than 20,000 Alexa­ compatible smart home devices from 3,500 different brands," said Alexa Fund's Paul Bernard in a statement. "Plant Prefab is a leader in home design and an emerging, innovative player in home manufacturing," he added. "We're thrilled to support them as they make sustainable, connected homes more accessible to customers and developers." 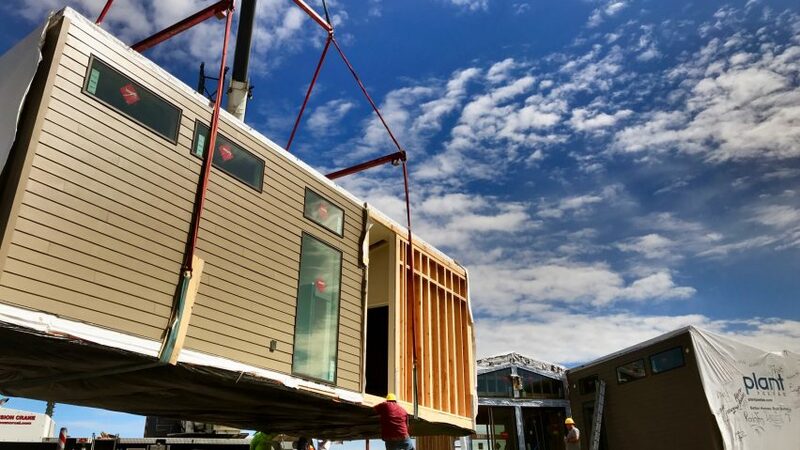 Plant Prefab uses a patented prefabrication method to build affordable single and multi-family homes for dense and expanding US cities, with the aim to reduce cost and construction time, wasted energy and air pollution. It bills itself as the "first prefabricated home factory in the nation dedicated to sustainable construction, materials, processes and operations". "In the housing­-crunched major cities like Los Angeles, New York and San Francisco, along with areas like Silicon Valley, it takes too much time to build a home from groundbreaking to occupancy," said Plant Prefab's founder Steve Glenn. "Labour shortages, construction delays and increased construction costs are exacerbating this trend even further and making homes increasingly less affordable." "Building homes in factories addresses these challenges, particularly as we're able integrate online technology, new building systems, and automation to dramatically reduce the time and cost necessary to design and build high­ quality, custom homes," he continued. Rather than following a strict module or layout, like many other companies, Plant Prefab's designs are intended to suit various and unique sites. Customers can either chose from its suite of customisable plans, or adapt designs for prefabrications. The company's collaboration with Amazon is its latest high-profile partnership, following work with architect Kieran Timberlake and designer Yves Béhar. Plant Prefab also recently helped to rehouse those affected by the Napa Area wildfires that occurred last year. It has so far raised $6.7 million (£5.2 million) in funding. Along with Amazon, Obvious Ventures – which aims to support startups working towards "a smarter, healthier, and more sustainable world" – provided additional investment to go towards senior hires, expanding the marketing and sales team, and developing the patented Plant Building System.